Should I keep what I have, or start fresh? Since this forum is brand new, I figured I'd help out by adding a little content. This is what's currently in my FTB world. 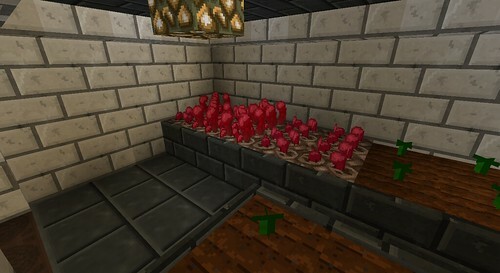 I am using Mindcrack v7, with Additional Pipes and Optifine added. I also use a customized version of Faithful, with most of the mods supported. The seed for this world is -3380215793236842253, if you want to use it. My base is located at spawn, and a forest can be found on a river to the northeast. It contains most of the things I have built. There are no images of either of the realms, since I haven't built anything major in them yet. Ah cool, you play Mindcrack as well. We should play together some time. Yea, I guess so, but I can't get the update to work for some reason. Though, I think I told you that already. And also, a little off topic, but would it be possible to embed that slideshow into the post? I tried using the media thing, but it just made it a link. That would require special coding to embed that specific slideshow, or an iframe. Both of which can be potentially unsafe. Ah, that makes sense. I guess it's better for it to be a link than a potential tool for smart trolls to break the site with. Nice house! I like how you have separate rooms for pretty much everything, but I like to keep things close to each other and easily accessible. It would be cool if I could join as well! I've done quite a bit in my world since I posted this thread, so I decided an update was necessary. 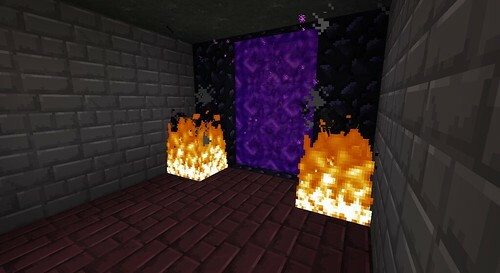 I've also killed the dragon, so now I can get the Ender ores from Gregtech. 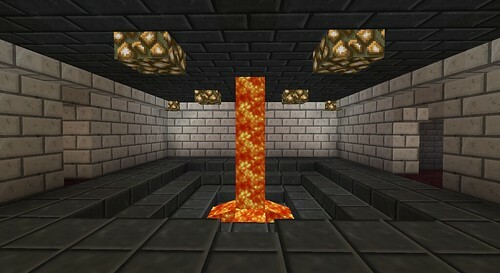 I thought the front room was a little too empty, so I added a lava fountain to fill the space. It worked. Finally got around to decorating the Portal Room (the dirt room from before). I liked the way the coke room turned out, so I used the same blocks to give it a little bit of symmetry. If you noticed a gap in the floor from the first image, that was the entrance to my new bedroom. I didn't really have a place to put the room, so I decided to put it under the floor. The room it also the place where I am currently displaying my dragon egg, which is seen encased in xychorium blocks. 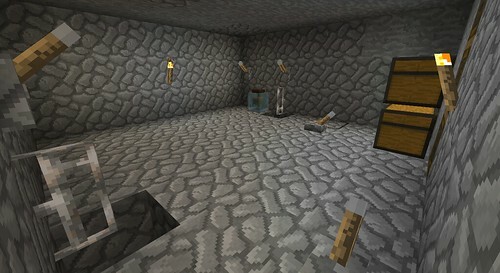 I made an edit to the enchanting area, adding pistons to block off the bookshelves for lower leveled enchantments. Each lever powers the piston directly below it. 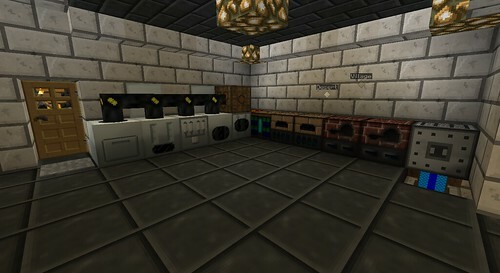 I also added some stuff to the machine room, adding an Industrial Centrifuge, Industrial Electrolyzer, second MFE, and made room for future machines. Upgraded my IBF so I can melt some more things. Behind it is a casing for a Industrial Grinder, of which I haven't gotten the materials for yet. Added a space to grow Nether Wart. Nuff said. 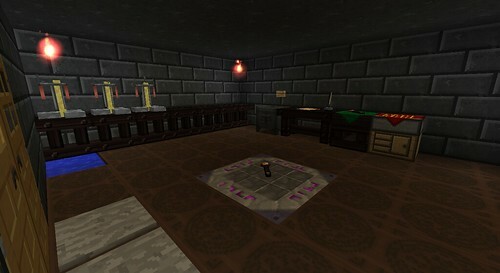 I decided to get into Thaumcraft, and this is the room that I made for it. So far, I have gotten past Unified Thaumic Field Theory, and I am starting to get into things like Golems and the different types of wands. 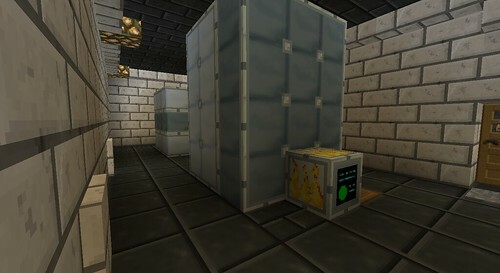 Speaking of Thaumcraft, I have also refined my Cave Spider Spawner, and added a Brain in a Jar to catch excess the XP. And that's about it! The pics below are my current materials, tools, etc. I have also added a Gas Turbine to the generator room to use up the Hydrogen and Helium cells I don't want. In addition, my armor is now enchanted, and I have a few new tools/upgrades. ...at least not in Singleplayer. My controller has an automatic shutoff. My lappack has a finite amount of energy in it. 8 hours of AFK time spawns a lot of mobs. So, on the thought that the plan failed miserably worked perfectly, I stupidly left the house. I came back to the disaster area house to find 760 or so Cave Spiders below me, and some other number in the spawning area. As you would imagine, it was lagging horribly. Surprisingly, though, I didn't run out of memory, and I actually had a frame per second (I blame tiny render distance). The whole thing ended when I attempted to kill them, and they clipped through the wall and killed me, flooding the room with the escapees. Thankfully, Minecraft has this lovely feature where the mobs are reset when you die. So, if you think you have this wonderful idea to use scripts to AFK at your XP farm, don't. It will end horribly. Well, if you have a solar helmet, the energy wont matter because it will get renewed. And, you could use a turtle with a sword to kill the mobs, and a thaumcraft brain in a jar to pick up the exp. Finally, Why were you trying to make an xp farm out of a CAVE SPIDER spawner? The turtle will fully automate it. 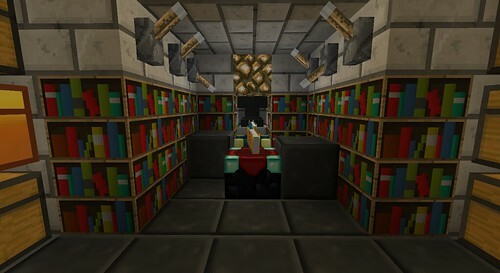 Also, you can use enchant books to enchant your jetpacks, electric tools, goggles of revealing, and lap pack. I used the cave spider spawner because I found 2 nearby each other while mining. And I didn't know that turtles were able to kill mobs for XP. Thanks for the advice. My server currently has an offensive turtle as the thing that attacks the mobs to kill them. The resulting XP is then stored in a Brain in a Jar. The dropped items are automatically sucked into a transposer and sent to an array of recyclers for processing. All you have to do is walk up to the brain and hit it to receive levels. Just give them a sword, and they will pick up exp. Do you still have to be within 15 blocks? Or does the turtle do that for you? Normally, you would have to stand within 15 blocks of the spawner for it to spawn anything. Would you still have to do this, or does the turtle count as the player? Oh, yes you would. But you could make a tier 5 soul shard, and problem solved. Yes, the spawner is a T5 soul shard.